In her early years Emilie worked for the underground in Czechoslovakia and spent some time in prison for rebelling against the Communist government. She later defected to Italy and traveled to Switzerland, France and Germany. It was in Germany where she met and married her husband, Nyle E. Boedeker, in 1977. Together they moved to New Mexico and since 1987 were residents of Kansas. 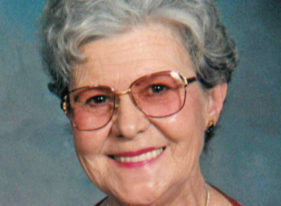 Emilie was a member of NARFE (National Active and Retired Federal Employees), YMCA and AARP. She loved having a dog and always had one in her house. Emilie was an avid exerciser—swimming, biking, doing yoga and walking her dog. She was often seen riding her single-speed bike around Salina on hot summer days.